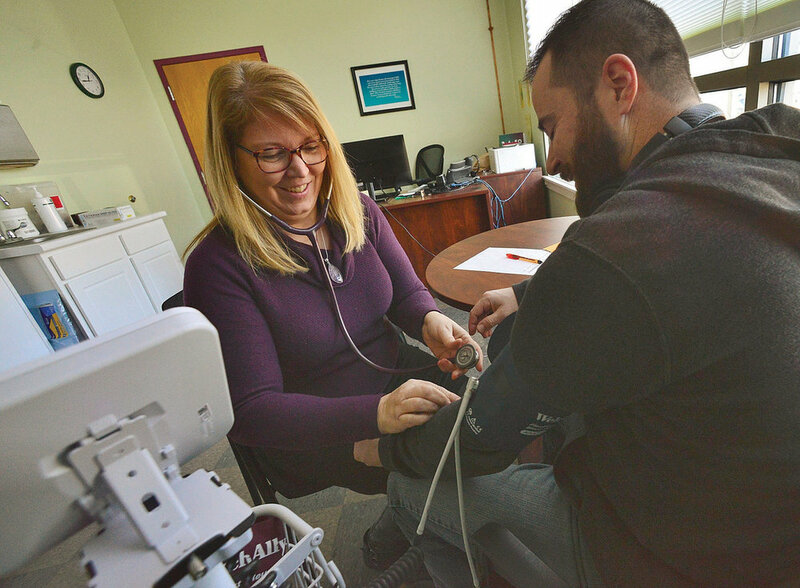 In this article, Liora Engel-Smith, Sentinel Staff, discusses with Wellness Works owner Michelle Mortimer the benefits of having on-site nurses like Lisa Tateosian (shown in this photo with Kelly Blanchette) at local businesses like Filtrine Manufacturing in Keene. Employers are recognizing the value of investing in services that can help employees change their lifestyle as well as help divert costs of chronic illnesses with improved disease management decisions. Karen A. Jamrog explores the benefits of implementing employee wellness programs in the workplace. Bob Audette interviews Michelle Mortimer for this edition of the Brattleboro Reformer. Read more about how Occupational Health and Wellness Works nurses provide care in workplaces. Worksite wellness programs help employees and employers. Having a nurse on company premises can result in lower absenteeism, more engaged employees, cost savings on insurance premiums and injury emergency services. Wellness Works nurses communicate with company safety directors and handles case management for workers’ compensation. The goal is to reduce costs to a client by preventing injuries and steering employees toward the proper care. Read more in Sierra Hubbard’s Keene Sentinel Wellness Works business profile. Thursday, March 21st 2019 Worksite Wellness Conference : LIVING AND WORKING HEALTHFULLY IN A WORLD OF DISTRACTIONS. TotalHealth: Creating a resilient workplace through recovery-supportive practices.